An nice problem free semi-key Lincoln wheat Cent issued from the San Francisco mint, graded as good. This coin is a great entry level collector coin with basic detail. Its color is a a nice chocolate brown. 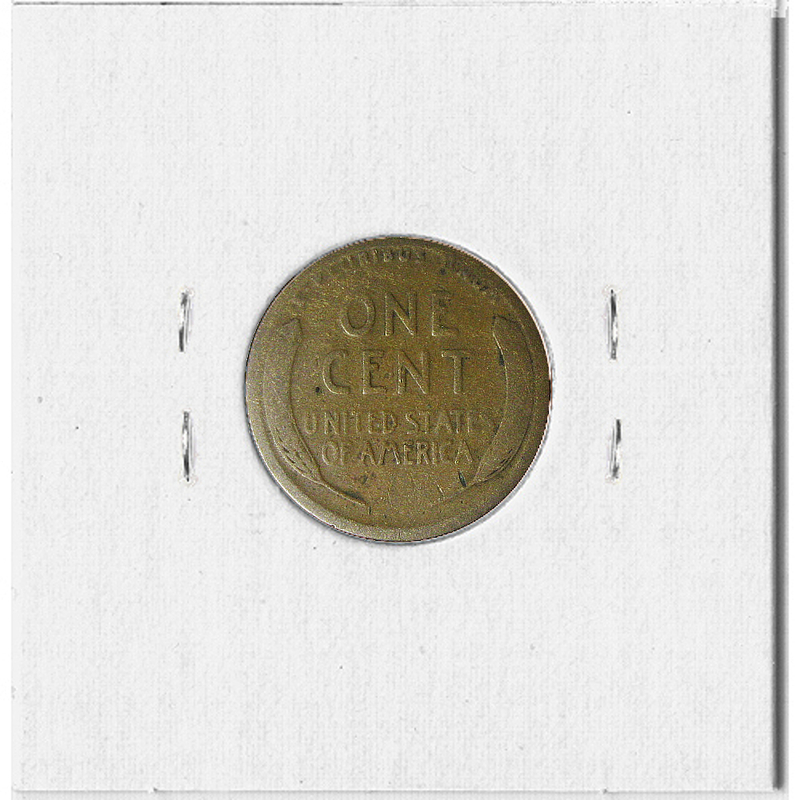 The perfect inexpensive completion coin for your collection. 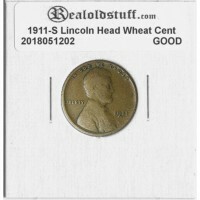 The Lincoln Wheat Cent was first issued in 1909 the Lincoln cent is the second most collected U.S. coin exceeded only by The Morgan Silver Dollar. It gets its descriptive name from the two shafts of wheat on the reverse and features the image of President Lincoln on the obverse. Both the obverse and reverse were designed by Victor David Brenner. 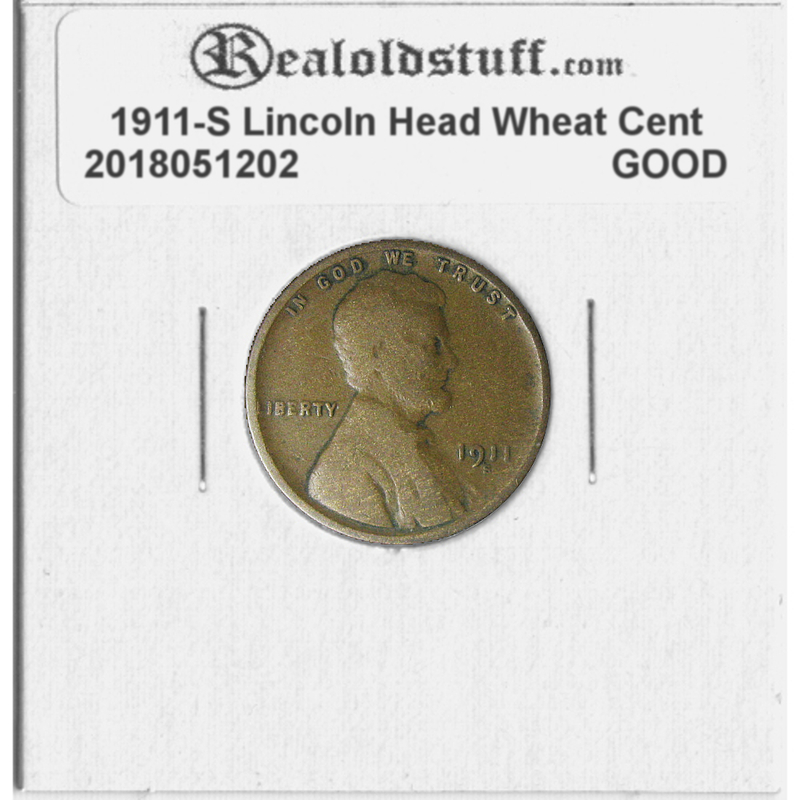 All wheat back coins were minted in 95% copper from 1909 to 1958, with the exception of the year 1943 when the coins were stuck in steel to conserve copper for the war effort.